The UPS Store is dedicated to the success of the communities in which it operates, and our growth reflects it. After growing to over 2,000 locations in 2002, we’ve more than doubled our footprint, and we aren’t finished yet. The UPS Store continues to reinforce its strengths to ensure its continued growth for years to come. With over 35 years of franchising experience, we’ve been able to offer thousands of people the opportunity to become their own boss, everyone from entrepreneurs to corporate executives, including minorities, women, veterans, and retirees. Best of all, we have numerous franchise opportunities available throughout the country. Many places offer printing or postal services, but our dedication to innovation, convenience, and world-class personalized service are what keep The UPS Store at the top of the business services industry. We’re committed to providing only the best results to our customers, ensuring that each customer we serve will be surprised and delighted in every interaction. Our Pack and Ship Guarantee gives customers peace of mind that their items will arrive safely while reinforcing our dedication to reliability and dependability. Our focus on local business owners shows our commitment to the communities we serve, and our charitable involvements at the local level remind others that we are people who care about people. We place the customer at the forefront of everything we do, and it doesn’t go unnoticed. As a result of our continued dedication, The UPS Store has been honored as a top retail brand by The Business Journals’ American Brand Excellence Awards. In addition, we’ve been ranked #1 in the business services industry by Entrepreneur Magazine’s Franchise 500 for 28 consecutive years. 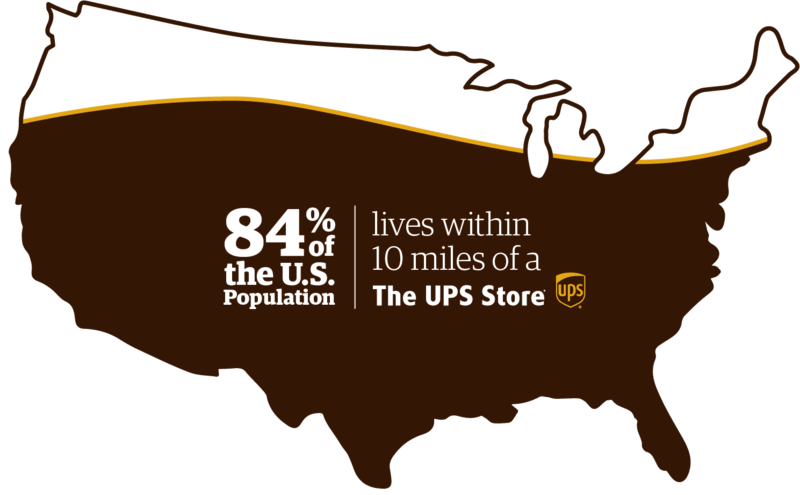 Did you know that more than 84% of the U.S. population lives within 10 miles of a The UPS Store? Studies have shown that convenience and accessibility are essential for driving business growth in today’s competitive market. Customers rely on The UPS Store because of their prime locations, whether it’s in a shopping center, commercial complex, or non-traditional centers such as universities or hardware stores. In addition to convenient locations, The UPS Store has simplified business logistics by providing a network of services in a single location. At The UPS Store, customers can take care of shipping, postal, freight, printing, and other business services in one trip. We’ve built our reputation on convenience and world-class service, and our customers continue to count on us for both. 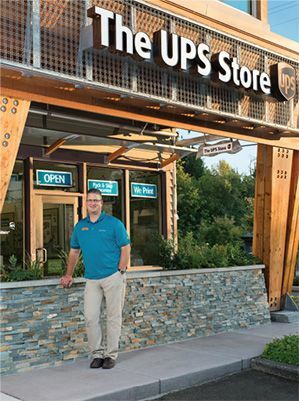 The UPS Store has evolved to serve a broader base of customers, providing communities with the largest network of retail shipping, postal, and business services in the country. But despite this growth, one thing will always remain the same: the commitment of our franchisees to offer personalized and professional business services and deliver a world-class customer experience. We’re proud of our achievements, but none of this would be possible without our dedicated franchisees taking the first step into becoming part of The UPS Store family. It’s our franchisees that have taken us this far in making us a top company. If this sounds like something you want to be a part of, it’s your turn to take advantage of this exciting franchise opportunity.